An estimated 415 million people live with diabetes worldwide. In the US alone, experts report that nearly 13% of the adult population suffers from either type 1 or type 2 diabetes. Unfortunately, these numbers are only expected to rise as the prevalence of type 2 diabetes grows alongside obesity. It’s not terribly surprising, then, that interest in phentermine and diabetes has also grown. Here we’ll talk a little about the different types of diabetes, how weight plays into diabetes management and the research surrounding phentermine and diabetes. Diabetes mellitus, often referred to as simply diabetes, is a medical condition characterized by elevated blood glucose levels. There are several types of diabetes including: type 1, type 2, gestational and LADA. While all of these variations cause blood sugar to rise above normal levels, they’re separated into different types because the cause varies. The main difference between type 1 and 2 diabetes is the biological source of poor blood sugar regulation, but there’s also some other important distinctions. Type 1 diabetes, sometimes called juvenile diabetes, is an autoimmune condition that causes a person’s own immune system to attack the insulin-producing cells in the pancreas. As a result, these cells are destroyed and cannot produce insulin. Without sufficient insulin, the body’s cells cannot utilize circulating blood glucose for energy. As a result, too much glucose (sugar) stays in the blood and patients develop symptoms like tiredness, extreme thirst, frequent urination and unexplained weight loss. This type of diabetes is usually diagnosed in childhood, but can appear at any age. It is managed with insulin injections, lifestyle changes (diet & exercise) and constant monitoring. Type 1 diabetes is caused by genetics, not an individual’s lifestyle choices. Type 2 diabetes, on the other hand, is an accumulation of glucose in the bloodstream due to the body’s inability to use insulin. Even though the pancreas produces insulin (at least in the beginning), the body cannot use this hormone correctly. As a result, the body struggles to remove glucose from the bloodstream and nourish its cells. Medical professionals refer to this phenomenon as “insulin resistance”. As blood glucose levels rise, patients experience symptoms like constant hunger & thirst, dry mouth, frequent urination and slow healing. It can appear at any age, but is more likely in people that are overweight, older, inactive, or have high a waist hip ratio. It’s also more common in women who have, or have ever had, polycystic ovary syndrome (PCOS) or gestational diabetes. Type 2 diabetes is managed with lifestyle changes (diet & exercise), oral medication and sometimes insulin. Healthy lifestyle choices and maintaining a healthy weight help manage and prevent type 2 diabetes. You can also have gestational diabetes or LADA. Gestational diabetes is a variation that occurs during pregnancy, and usually resolves after the baby is born. LADA, or late autoimmune diabetes in adults, is sometimes called diabetes 1.5 because it has characteristics of both type 1 and type 2 diabetes. Maintaining a healthy weight is key to overall well-being and longevity. Carrying extra weight makes blood sugar harder to control and increases the risk of diabetes-related complications. Research has shown that reducing body weight enhances insulin sensitivity (the opposite of insulin resistance) and improves blood sugar control. Since type 2 diabetes is caused by insulin resistance, which is worsened by extra fat and overall inactivity, achieving and maintaining a healthy body weight proves critical in both prevention and management. If you’re overweight, the American Diabetes Association (ADA) recommends aiming for a loss of 7% body weight, plus 150 minutes of moderate physical activity each week, to delay or prevent the progression from prediabetes to type 2 diabetes. Weight loss is also encouraged for any already-diagnosed diabetes patients with BMIs in the overweight or obese range. A loss of just 5% body weight (10 pounds in someone weighing 200 pounds!) has been shown to reduce insulin sensitivity, recover blood sugar control and improve cardiovascular markers in patients with type 2 diabetes. For this reason, some experts advocate that treatment plans should focus even more heavily on weight loss, and less on blood sugar control. Significant weight loss is an achievable goal for people with diabetes, it just requires a little extra planning. Your first step should be to speak with your medical team. Important people to talk with may include your primary care physician, endocrinologist and dietitian. You’ll need to discuss diet, exercise and even medications’ role in your current weight status, and how to modify each of these factors to achieve your weight loss goals. In terms of a diet for weight loss with diabetes, reducing added fat and focusing on lean protein, whole-grains, fruits and vegetables proves an effective strategy. The ADA specifically recommends a low carb, low fat/low calorie or Mediterranean diet for weight loss. Throughout this process, it’s important that you monitor how dietary changes and increased physical activity affect blood sugar. Make sure you test your blood glucose regularly, especially when you’re first modifying diet or exercise routines. Staying aware of your body’s reaction to these changes is critical to avoiding dangerous blood glucose variations or hypos. If you notice your blood sugar consistently trending downwards, talk to your doctor about adjusting your medications or insulin dosage(s). An emerging body of evidence suggests that type 2 diabetes may be reversible with significant lifestyle changes. Type 2 diabetes is considered “reversed” or “in remission” when a patient can get their hemoglobin A1C below 6% (42 mmol/mol) without the use of medication. While this concept still isn’t widely popular in the United States, the idea of reversing diabetes has grown increasingly widespread in the UK. It is not currently possible to reverse type 1 diabetes, but researchers continue their search for a cure. To read more about reversing diabetes, check out Diabetes.co.uk’s page here. Given the benefits of weight loss for patients with diabetes, and the efficacy of weight loss drugs like phentermine, researchers have begun looking at the usefulness of prescription appetite suppressants in this population. Below is a quick overview of the recent research on phentermine and diabetes, plus professionals’ response to the question, “Can diabetics take phentermine?”. The most prominent study on phentermine and diabetes, entitled Weight-Loss Therapy in Type 2 Diabetes: Effects of Phentermine and Topiramate Extended Release, was published by Garvey et. al in 2014. It followed 130 patients with type 2 diabetes over the course of a year, and assessed whether taking phentermine + topiramate ER (Qsymia) affected weight loss and/or blood sugar control. Researchers found that patients treated with phentermine + topiramate ER, plus lifestyle changes, benefited more than comparable patients treated with placebo. Specifically, type 2 diabetes patients who received the phentermine combination showed more weight loss and more significant improvement in blood sugar control (as measured by HbA1C). Another study by this team showed that the same combination (phentermine + topiramate ER), plus lifestyle changes, was shown to decrease the likelihood of overweight/obese patients with prediabetes or metabolic syndrome progressing to type 2 diabetes. Many people with diabetes are eligible candidates for phentermine. 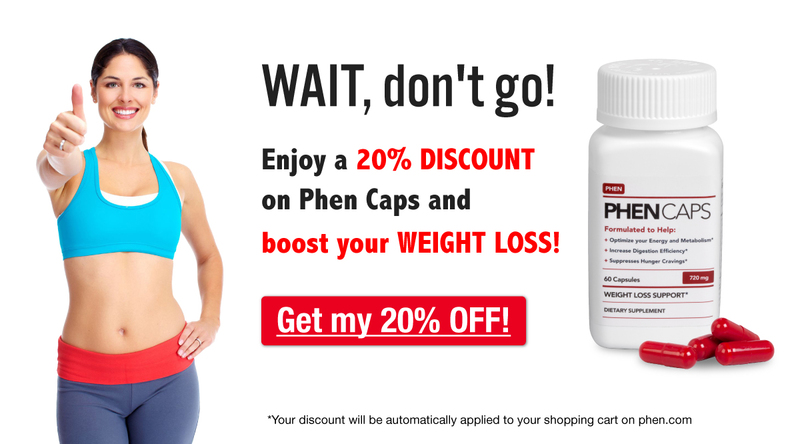 Given the high correlation between obesity and type 2 diabetes, and the clinical benefits of weight loss, weight loss medications like phentermine are an important option to help you reach a healthier body weight. Still, the appropriateness of phentermine in your particular case can only be determined by a doctor, and only after reviewing your medical history and completing a thorough physical examination. If you use phentermine alongside diabetes medications (oral or injectable), it’s important that you keep close tabs on your blood sugar. Phentermine and the associated changes in diet and body weight often affect blood sugar levels. For this reason, it’s critical that you test regularly and report any high or low blood sugars to your prescribing physician. He or she may need to adjust the dosages of your medications to help you achieve your weight loss goals while still maintaining good blood glucose control. Do you take, or are you interested in taking, phentermine in the presence of a diabetes diagnosis? Share your thoughts and experiences with us in the comments section below!